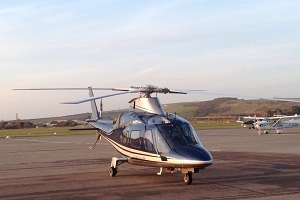 Avoid all traffic problems and arrive in style at the Hay Book Festival with a bespoke charter from Atlas Helicopters. You can leave from a location of your choosing, in one of our luxury aircraft, with complimentary champagne and room for up to six passengers. With our flexible booking system you can depart at a time that suits you and if hospitality, hotels or evening entertainment are required, the Atlas Operations Team has over 15 years experience in organising multiple itineraries for businesses as well as private flights. Contact the Operations Team today and let them take the strain. Hay Festival (23rd May – 2nd June 2019) brings you ten days of beauty, from the written word to the wonderful surroundings in the Brecon Beacons National Park. It brings together writers, filmmakers, actors, comedians, scientists, and – of course – avid readers from around the world to celebrate the power of ideas. It&apos;s a chance to mingle with big name stars, discover something new, and indulge your passion for writing in all forms and on all topics. While books obviously play a huge role in the festival programme, there are lots of other activities and events to take part in and enjoy. The Hay Fever courtyard provides activities for all the family, you can learn new skills with the design and drawing schools, and enjoy amazing local food from one of the many restaurants, bars, and food stalls. There will also be a selection of exhibitors on hand to demonstrate unique and wonderful products, services, or good causes. It was around someone&apos;s kitchen table in 1987 that the idea for Hay Festival was first suggested. What started off as a small gathering of 1,000 book lovers in Wales is now a global annual event taking place on five continents and attracting a quarter of a million visitors. Hay Festivals now take place in countries including Bangladesh, Lebanon, Mexico, Hungary and Nigeria. You can be part of this wonderful event and avoid all the queues, traffic congestion and depart from a place of your choosing. Just call the Operations Team on 01256 635000 and they will organise everything or, if your are curious about costs, try this Quote Generator.